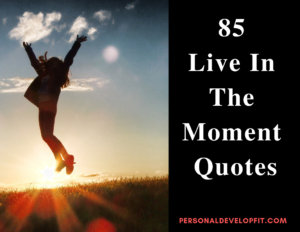 Living in the moment does something for us that is very profound. We find that happiness is in the here and now! This this called happiness that had been sol illusive to us before is now presented right in us. We were looking for it outside ourselves. But by living in the moment, we can obtain this thing we call happiness for free. Not even having to go a foot to the left or a foot to the right. This is why I wrote this article. To inspire us to live in the moment more. To enjoy life for what it is. We only really have the now. The present moment is all we will ever have. As when tomorrow comes, it will still be today in a sense. Time is an illusion. We have the present moment forever. I hope this list serves as a gentle reminder to embrace the moment for all that it is. Not looking back, or looking forward with feelings of anxiety. Be present and happy in the here and now. So there we are my friends. 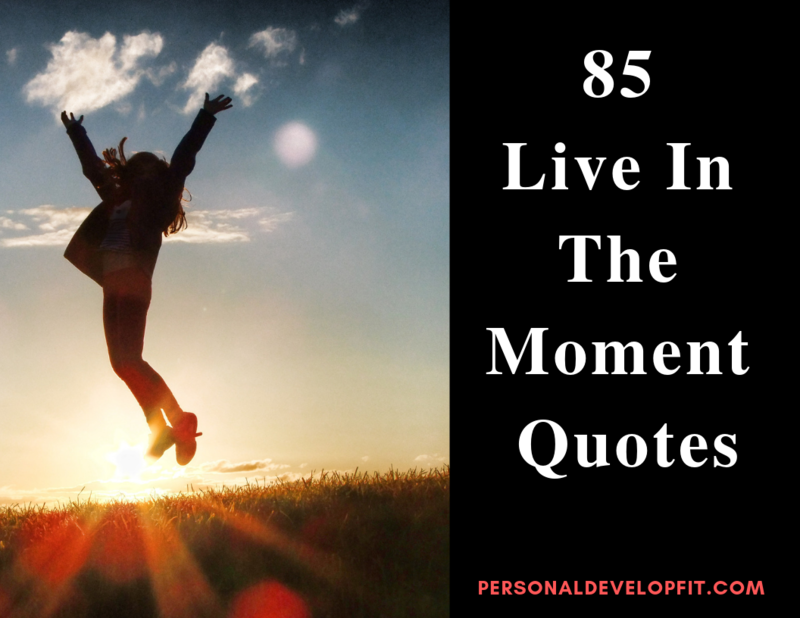 A collection of the best live in the moment quotes. I hope you enjoyed this list. I would love to hear what your favorite one was. And what the quotes means to you personally! Lets chat in the comment section below!